The Chinese Foreign Ministry said India's logic that Chinese road building in Doklam on the border posed a threat to New Delhi was "ridiculous and vicious". Indian and Chinese troops have been locked since June in a stand-off at Doklam. 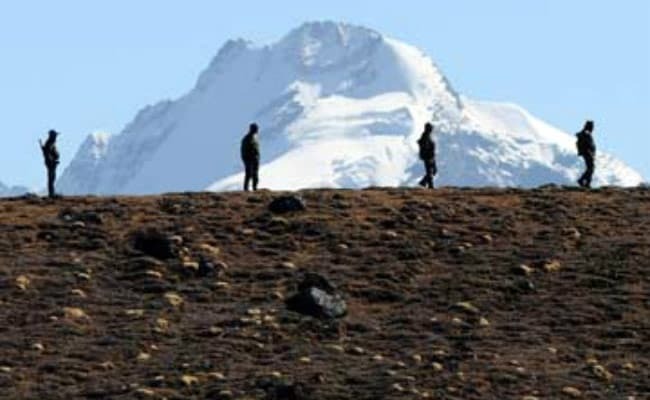 China says India's logic on China road in Doklam "ridiculous and vicious"
China today said there will be "utter chaos" if its troops entered India on the pretext that Indian border infrastructure posed a threat to Beijing. It said China would in no way allow any country or individual to infringe upon its territorial sovereignty. "The Indian side illegally crossed the boundary on the excuse of ... Chinese road building. The reason is ridiculous, vicious and facts are clear," Foreign Ministry spokesperson Hua Chunying said. "You may think about it. If we tolerate India's ridiculous logic, then anyone who dislikes the activity at his neighbour's home can break into its neighbour's house. Indian and Chinese troops have been locked since June in a stand-off at Doklam in the Sikkim section of the Bhutan-China border. This is the longest stand-off between the two armies since 1987 when they faced a similar situation at Somordong Chu Valley in Arunachal Pradesh. It all began when Indian troops stopped Chinese troops from building a road in Doklam, citing the disputed status of the territory. Doklam is claimed by Bhutan, which has protested against Chinese road building. China says the construction of the road is just since Doklam has been Chinese territory since ancient times. New Delhi backs Bhutan's claims and sees a Chinese road in Doklam as a threat because the region is very close to the Siliguri Corridor, which connects India's northeast with the rest of the country.